Are you ready to travel? Get your travel vaccinations and International Medicine at Hall Longevity Clinic today! Traveling to a far off destination? Perhaps a safari in Botswana or a trek across Cambodia? Do you need us to help you or a loved one overseas to get to a medical facility? Are you traveling and in need of emergent medical care or just a simple vaccination? Hall Longevity Clinic can make sure you are medically prepared to travel safely! Anytime and anywhere in the world! 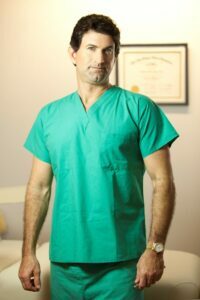 Dr. Hall is very knowledgeable in aerospace medicine and international medical travel. We can help prevent high altitude illnesses and malaria for your next exotic stop over. to issue travel vaccinations, including yellow fever vaccine. Dr Hall advises against a vaccination of Stamaril as it is not approved by the CDC. We have aircraft on standby 24/7 to assist you or family members for whatever needs may arise. Hall Longevity Clinic has a relationship with the US State Department. Hall Longevity Clinic is located in the heart of Miami Beach! It is federally endorsed by the FDA and CDC as an official travel vaccine provider. Click here to schedule an appointment! As the most common government-required vaccine. it is recommended that you check the CDC Travel website before you book a flight. You may be prohibited to enter a country if the vaccine is required and you are without proof. Yellow fever is a disease caused by a virus that is spread through mosquito bites. Symptoms take 3–6 days to develop and include fever, chills, headache, backache, and muscle aches. About 15% of people who get yellow fever develop serious illness. It can lead to bleeding, shock, organ failure, and sometimes death. All yellow fever vaccines that are currently being manufactured are live-attenuated viral vaccines. YF-Vax, the only yellow fever vaccine licensed for use in the United States is manufactured by Sanofi Pasteur. The Hall Longevity Clinic only administers the YF-Vax Sanofi Pasteur yellow fever vaccinations. Reactions to yellow fever vaccine are rare and generally mild. Reported events typically include low-grade fever and headache. Occur within days after vaccination. Yellow fever is preventable by a safe, effective vaccine. Contact a Hall Longevity Clinic representative today! Ask any questions regarding the yellow fever vaccination or make an appointment! You should do the injection at least 10 days before you travel. You will need to have a CDC yellow fever “stamp” prior to getting a visa to several countries. This includes most African nations, Bolivia, Brazil, India, and China. You should receive a yellow card called the International Certificate of Vaccination or Prophylaxis (ICVP) to prove that you have had yellow fever vaccine. Some countries require all travelers to show proof of yellow fever vaccination before they can enter the country. Other countries require proof of vaccination only if travelers have been in a risk area. So if you are visiting multiple countries, the order of travel may be important. Proof of vaccination is not valid until 10 days after you get the vaccine. Plan to get the vaccine early if you need it. Dial 305.672.4733 to Schedule an Appointment Today! The Hall Longevity Clinic supplies vaccinations for Hepatitis A and Hepatitis B, using the best possible products. There is currently no vaccine for Hepatitis C. We recommend getting your hepatitis vacation 45 days before you travel. After you receive the hepatitis vaccinations you may feel some of the following side effects: Mild body aches, mild fever, or headache. You can find more information regarding the hepatitis vaccination here. The tetanus shot has become know as the “Tetanus Booster Shot.” Tetanus is a disease caused by a bacterium spore that lives in the ground. The booster shot consists of 5 injections over the course of a lifetime. One when you are 5 years old, one when you’re 10, and one when you’re 15. The other two tetanus vaccinations are given when you are 25 and 35 years old. If you haven’t had a booster for over 5 years, you will need a booster before you leave the country. More information regarding tetanus vaccinations can be found here. We highly recommend Typhoid vaccinations a when traveling to areas of the globe where water safety is a real concern. And where typhus bacterium may infect portable water systems. “Typhoid Fever” is spread by food or water through a germ called “salmonella typhi.” Effects from the typhoid may include: severe diarrhea, fever, nausea, or skin rash. Typhoid vaccinations are good for 2 years. Always in stock, and available at the Hall Longevity Clinic. As most regions of the equatorial belt have malaria. We recommend you to take antimalarial medications. The best being, Malarone (atovaquone and proguanil hydrochloride). There is no vaccine for malaria. We recommend Malarone. We can order as many tablets as you need for your trip. Normally you begin the tablets two days before the trip. Take one tablet each day in the morning while away. Continue for seven days after you return from your destination. It is important to prevent mosquito bites. Use appropriate insect repellents, wear clothes that cover most of the body. Remain in air-conditioned or well-screened areas. Use mosquito nets, as well as insect-killing sprays. Buy insect repellent before traveling. The most effective insect repellents contain diethyltoluamide (DEET). We recommend a 3M Ultrathon Spong Applicator.It used by Seal Team 6 and Delta Force, who we proudly support! Far too often, we see travelers forget about or put their travel vaccinations off to the last minute. Please make an appointment to ensure your treatment. We have the latest up-to-date travel vaccinations required for your trip. This travel information changes yearly based on the prevalence of disease in each country. As an official CDC vaccine provider, we can prepare you for international travel with the latest in vaccine coverage and anti-microbial medication. In addition, we will arrange for all your paperwork. CDC mandated yellow fever, typhoid and rabies vaccinations, to be fully transportable, regardless of your destination. Influenza (flu) shots, school & college immunizations. Immigration & naturalization. First responders, and vaccinations for high-risk occupations. In addition to protective vaccinations for a healthy lifestyle such as shingles, HPV (cervical cancer), and Hepatitis A & B. Please note there is no current treatment for Dengue fever. Our staff can also provide on-site consulting and immunization services for groups of travelers. Like corporations, schools, missions, etc. All of our patients receive customized travel health consultations with the Center for Disease Control (CDC). We are always aware of the latest travel information and warnings . Hall Longevity Clinic physicians have completed extensive training in the field of travel medicine and immunology perform our procedures. Are you traveling for business or pleasure? Hall Longevity Clinic is here to help you prepare for your trip! Call 305.672.4733 or click here to schedule an appointment! We also can make a CDC recommended travel medical kit, or HALL MEDpac for you. We Make Several Versions and they Range in Price from $149 to $9500 dollars.